In many people’s eyes, Sichuan cuisine is tantamount to spicy food. But Sichuan also offers them a wide range of other dish choices. Besides spiciness, Sichuan dishes are also a mix of other “six tastes”— sourness, sweetness, numbness, bitterness, aroma, saltiness; In fact, 60% of the Sichuan dishes are not spicy at all. Sichuan, my hometown, does contribute greatly to China’s reputation as a country abounding with well-known cuisines, with Sichuan cuisine most famous for its bold flavors. However, it stumped me to name just some of the most delicious and special Sichuan dishes since there are really too many to choose from. After giving it some thoughts, I decided to briefly introduce Sichuan cuisine to Jane and other foreign friends. In many people’s eyes, Sichuan cuisine is tantamount to spicy food. Indeed, situated in a basin, Sichuan is always foggy, cold and damp. 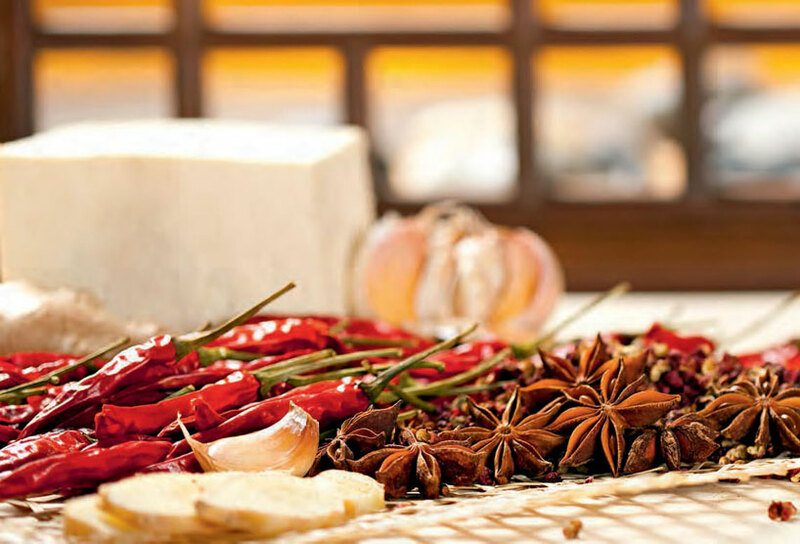 Therefore, the locals need spicy food to ward off the dampness and cold Gradually, people in Sichuan have developed a dietary habit of “savoring pungent food” and “loving spiciness”. Yet, Sichuan cuisine is definitely more than just being spicy. In fact, when people in Sichuan smell food that are only spicy in flavor, they refer that as “sila” (spicy without any varieties). In Sichuan cuisine, there are many different types of “la” (spiciness) — mala (numbing and spicy), suanla (sour and spicy), hula (dried chili-induced spiciness), yula (pickled chili-induced spiciness), xianla (fresh chili-induced spiciness), jiangla (chili sauce-induced spiciness), hongyou (chill oil-induced spiciness), just to name a few. Plus, different types of “la” should go with different ingredients. The temperature of Sichuan dishes also matters. 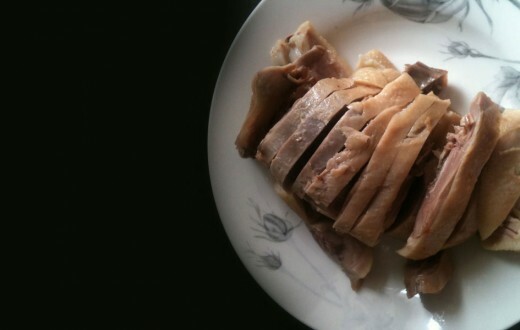 Some should be eaten cold like Sliced Boiled Pork with Garlic Sauce; some warm like Yu-Shiang Shredded Pork (Sautéed with Spicy Garlic Sauce); and some hot like Sichuan hot pots. Whichever dish you choose, it will give you a unique spicy taste. Sichuan cooking always allows the ingredients to give off their genuine tastes through the delicate use of different kinds of spiciness. Sichuan Sautéed Pork (or Twice-cooked Pork) is the most well-known Sichuan dish. You can have it almost anywhere in Sichuan-in a fancy revolving restaurant, a small, simple eatery, or at any one of your Sichuan friends’ homes. 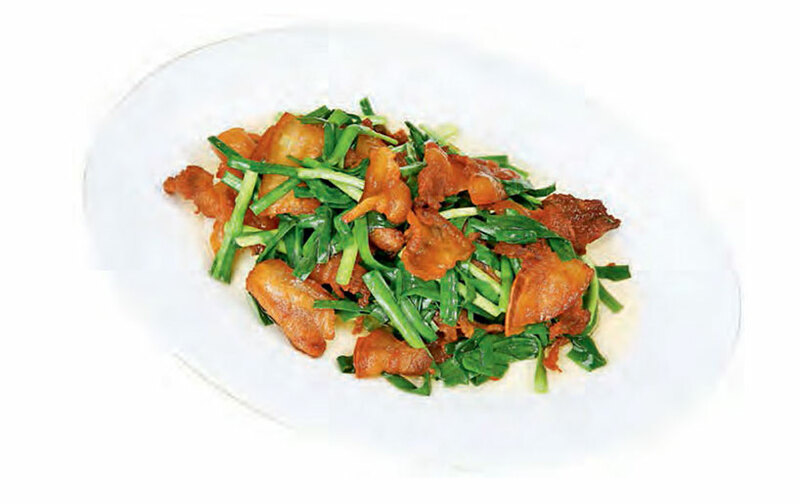 A good plate of sautéed pork is made of golden, glossy fried marbled meat with white and green garlic sprouts. 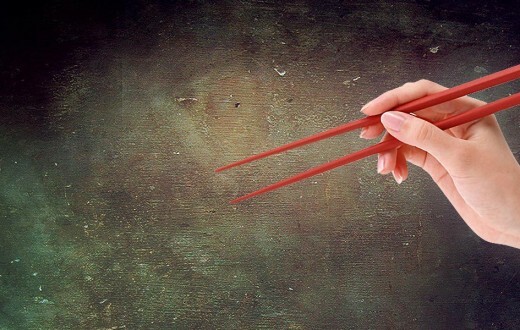 When you pick up a piece of shiny, slightly-rolled meat covered with garlic sprouts with your chopsticks, you can see it bounce up and down together with the chopsticks. The meat has some fat but is not greasy, and the garlic sprouts are pleasantly refreshing. As you chew on it, you will be able taste its juice swirling in your mouth and the smell of its aroma permeating through your senses. The Sautéed Pork can go with wine or rice, and it can lift up your spirits and whet your appetite. How do you know the Sichuan Sautéed Pork you have is the real deal? I’ll let you in on a little secret. 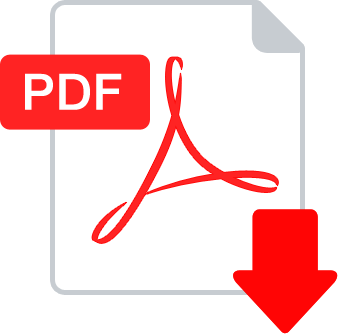 Three criteria are used to judge from its outward appearance: first, the ratio of fat to lean meat should be around 3:7 and the meat needs to be fried well enough to ensure it is slightly-rolled; second, when you pick up a piece of meat with your chopsticks, there should be some bounce to it; third, the fried meat should have a golden reddish glow and the garlic sprouts should be green or white and crisp. If the Sautéed Pork you have fails to meet any one of the above criteria, it cannot be regarded as authentic, nor its taste guaranteed. Besides Sauteed Pork, many other Sichuan dishes also live up to their spicy reputation. 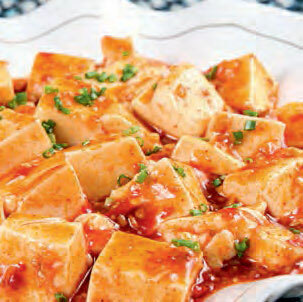 For instance, Steamed Chicken with Chill Sauce, Mapo Tofu, Sliced Boiled Pork in Chili Sauce and Sliced Beef in Chili Sauce. All of them are famous Sichuan dishes that a great number of people are fond of. If you want to grab a bite of them all, it’s definitely going to take quite a while. The rich variations of spicy Sichuan cuisines nurtured the fiery, enthusiastic and outspoken nature of Sichuan people. Another Sichuan dish that you cannot miss is Sichuan Hot Pot. 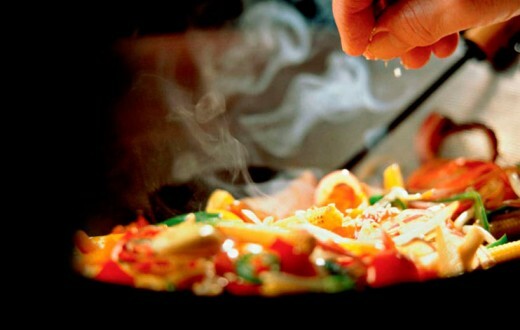 People in Sichuan will have a hot pot when they get together with their close friends. They will sit around the hot pot, with iced beers in hands, chatting and singing. Sichuan people love hot pots not only because of its great taste, but also because they love the intimacy of sharing food from the same pot with their friends. 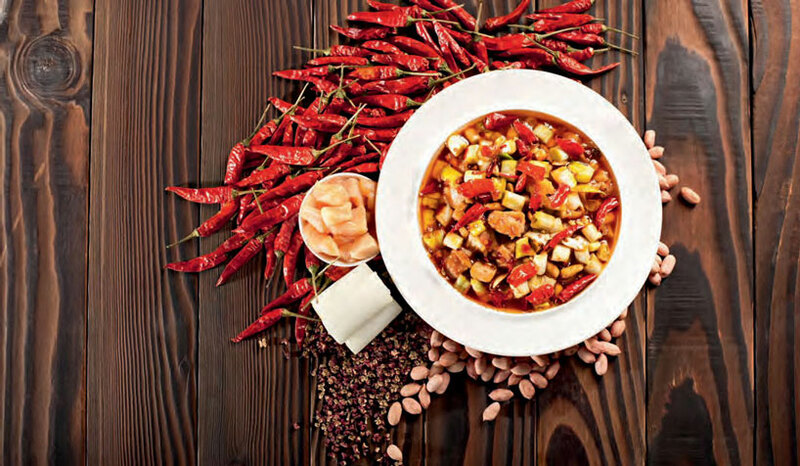 Unlike Mongolia-style or Canton-style hot pots, hot pots in Sichuan requires spicy chili oil, without which Sichuan people would simply consider it a pot of food boiled in water. In the dipping sauce, there must be garlic and sesame oil. Beef tripe (crisp and tender), duck intestines (bright and white) and lettuce (fresh and green) are common food that goes with the hot pot, and it only takes several minutes to cook them. 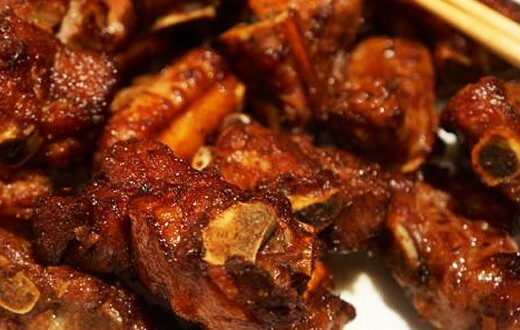 When well-cooked, they are picked up from the pot and immediately dipped in the sauce. By doing so, the food won’t get too greasy and at the same time it will become less spicy and the temperature will not be so hot that it burns your mouth. Once you have tried Sichuan hot pot, it is very difficult for many people to stop eating it. 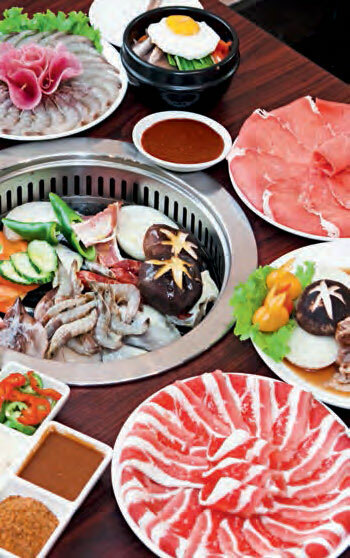 People will not be able to stop eating, unless they are extremely full, once they started on a Sichuan Hot Pot. As they put down their chopsticks regretfully, they are already discussing when they are going to have a hot pot next time. 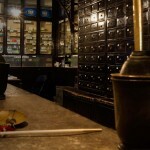 It is said that hot pots were invented by boat trackers in Chongqing. These laborers pulled boats up against the Jialing River every day, and in cold winter days, they had to brave the howling icy wind. Cold and starving after work, they were in dire need of heat. Therefore, they would buy cheap food like beef tallow and beef tripe and throw them all into a big pot. Due to the chilly weather, the food became cold shortly after they were out of the pot, so these trackers ate directly from the boiling pot. Soon, this special way of eating swept across the whole province and then the entire country. Sichuan dishes are varied and each is unique in its own way. But the most distinctive one is the simple pickled vegetables. In Sichuan, nothing can do a better job of speaking for a good housewife than a jar of good pickles. Reputed as hard-working, sassy and bold in China, every Sichuan girl hopes to make the best pickles. It would be unimaginable that there are no pickles in a Sichuan household. Besides, the tastes of pickles vary from home to home, and the small difference lies in the secret recipe of every housewife. It seems like an easy job to make pickles — put some vegetables into salty water and you are good to go, but this is not the case at all. It actually takes a long time to get the hang of making pickles. Some vegetables, such as lettuce, can be eaten after only one or two days’ preservation, while other vegetables, for example, garlic, chilies and turnips, require soaking over a much longer period of time. When mixed with different condiments and preserved for a long time, pickles will have thousands of different tastes. Therefore, making pickles is by no means easy. Instead, it is as complex as making wine. The best pickles in Sichuan are said to be made by Taoist priests in the Qingcheng Mountain.  They have a secret recipe that is a complete mystery to outsiders. The colors of the pickles they make do not change a bit, even after three years-chilies are still fresh red, cowpeas green and ginger yellow. When you have a bite of these pickles, they taste crisp, sour and hot Merely the sound of these descriptions will make one’s mouth water. These pickles are the best of the best, it is quite impossible for an average person to learn how to make them. 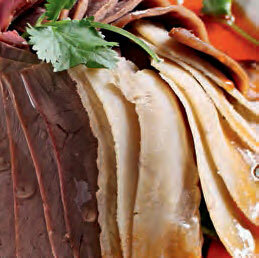 Apart from pickles, Sichuan families also make preserved meat, sausages, dried cowpeas, bean jellies and so forth. Delicious as they are, their making procedures are actually quite complex. It is Sichuan people’s diligence and passion for food that enable them to pass down these techniques from generations to generations. For those who have no interest in spicy food, Sichuan also offers them a wide range of other dish choices. 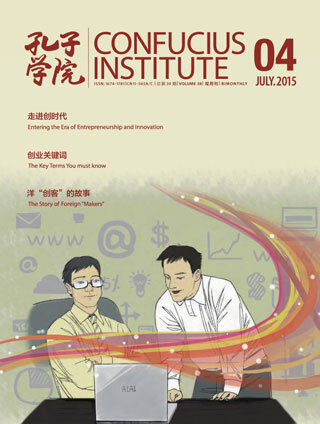 Although Sichuan is an inland province, it is very inclusive. The tolerance and broad-mindedness found in the characters of Sichuan people can be seen in Sichuan cuisine as well. In fact, “mala” (numbing and spicy) is not a suitable word to generalize Sichuan cuisine, as it has always been known to have”qi wei ba zi” (seven tastes and eight flavors). 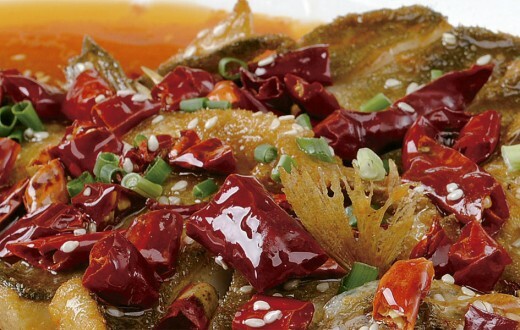 Besides spiciness, Sichuan dishes are also a mix of other “six tastes”- sourness, sweetness, numbness, bitterness, aroma, saltiness; the “eight flavors” being dry-braised, dry-fried, garlic, pickled and others. People use “one dish, one character; a hundred dishes, a hundred tastes” as a comment for Sichuan dishes, where 60 percent of the dishes are not spicy at all. In Sichuan, the main dishes in an important banquets are not at all spicy. 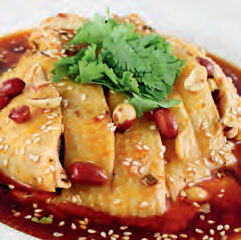 They are actually steamed or braised dishes that are rich and juicy, yet substantial. This include Steamed Pork with Rice Flour, Braised Pork, Steamed Pig Knuckles, Dongpo Pork, etc. 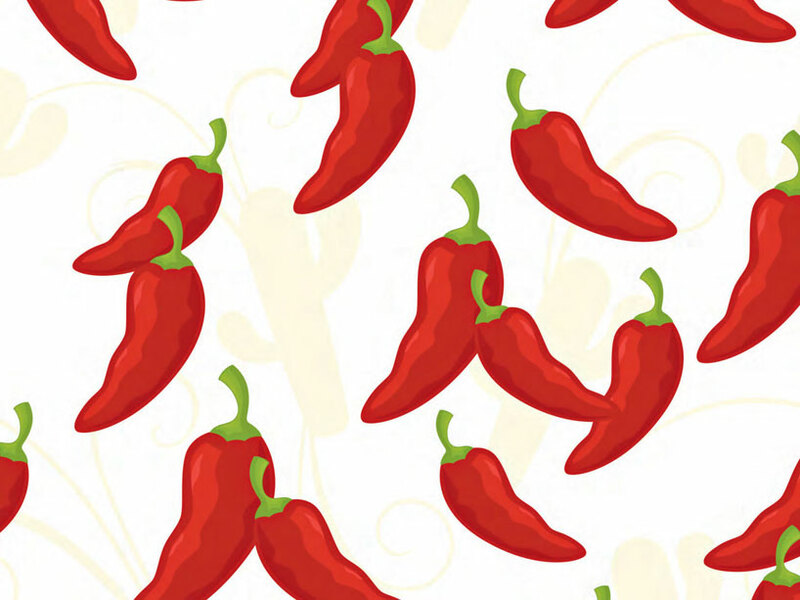 Most of them are not spicy as people are meant to savor the original tastes of the food. One of the lighter Sichuan dishes is Pork Rolls with Glutinous Rice, known as “Long Yan Shao Bai” in Sichuan. It is mainly made of preserved boiled pork slices. 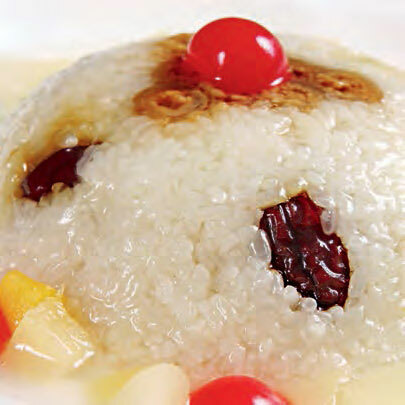 People would roll the pork slices, add some red bean paste into the rolls, then place them into a big bowl together with some glutinous rice. After steaming for one and a half hour, the dish is done. Before serving it onto the dinner table, people will turn the bowl over on a plate, and then remove the bowl. This dish looks golden and tastes sweet, soft and sticky. No wonder that it is a favorite among children and lovers of sweet food. 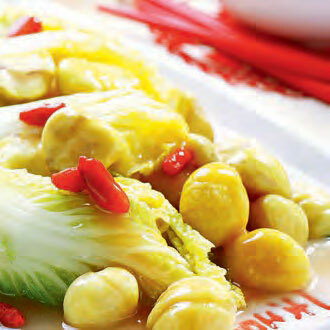 Another light dish worth mentioning in Sichuan cuisine is Chinese Cabbage in Boiled Water, which has enjoyed a history of over one hundred years. In the olden days, it was on the Chinese emperor’s menu; today, it appears in state banquets, and many state leaders love it. The ingredients of this dish are not what its name suggests – the ”boiled water” is actually chicken broth. At first sight, this dish seems too plain or too bland, but surprisingly it smells so great and tastes so fresh and delicious that other dishes cannot hold a candle to it. These years, Sichuan cuisine has incorporated some characteristics of other cuisines, and thus it has developed a sequence of new subcuisines, for instance, Jianghu cuisine (non-official localized cuisine), new Sichuan cuisine, seafood Sichuan cuisine, etc. 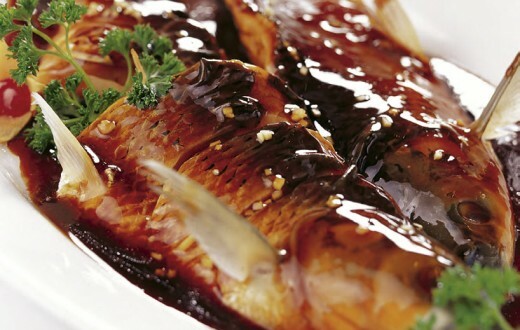 Some dishes now popular in some cities in northern China, such as Sliced Fish in Chili Soup, Spicy Pot and Grilled Fish, are in effect an extension of Sichuan dishes. Some cooks even creatively combine Sichuan dishes with pizzas. Diverse Sichuan dishes not only greatly enrich people’s daily meals but also serve as a symbol of Sichuan people, who are inclusive and willing to learn from others.